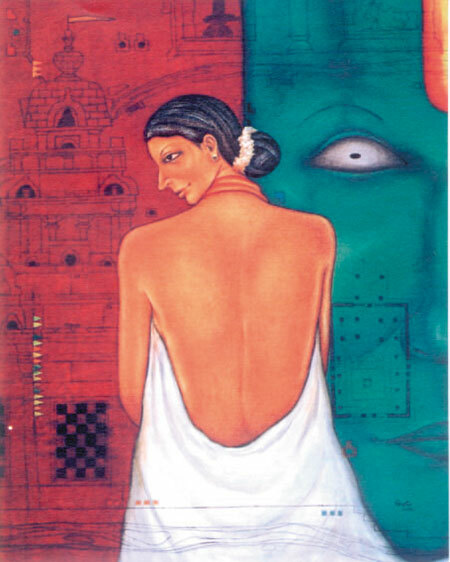 A mere mention of their names brings to mind dancer, Chandralekha’s big bindi and flowing tresses…. Or former PM, Indira Gandhi’s sil-ver streak in her short hair…. Or philosopher, J Krishnamurti’s dapper kurtas and jackets. So fused is each look with the person concerned that it has become an integral and inseparable part of the persona. You cannot think of them without thinking of their unique style. In fashion, as in everything else, we attempt to find our own distinctive style, a look that is all our own. Most of us embark on a lengthy odyssey, as we ape our friends, fashion trends and style icons. At some point – and it is always in line with our own understanding and awareness of ourselves – we try on something and we feel, “Hey, this is who I am.” It could be a classic pared down style. It could be casual chic. It could be fusion wear. It could be high fashion…. No matter what our style is, it will be an expression of our general approach to life and aesthetics. If we are eco-friendly, then we will almost inevitably prefer natural fabrics and eschew blends, mixes and polyester. If we believe that less is more, then that philosophy will influence a minimalist approach to ornamentation and embellishment (not necessarily to fabric, though even that cannot be totally ruled out). If flamboyance comes to us naturally, then we will find ourselves gravitating towards strong colours and style statements, revelling in the attention that dressing on the outer edge of chic affords us. Once we know who we are internally, then our style statement will also emanate a certain integrity, a rightness. It is our inner essence expressed through fabric and fashion and therefore, all of a piece with who we are. At the beginning of our style journey, though, when we are still looking for ways to be, we do the reverse, which is to piece together an identity through the way we dress. The more expensive the outfit, the more confident we feel about who we are. The more we copy trends, the safer we feel about our clothes. At this stage we are very vulnerable to brands and fashion trends because we have a great need to belong and to be endorsed. A huge part of our identity derives from being fashionable or from having the money to dress in top-line clothing. Through our invulnerable armour of fashionable perfection, we survey the rest of humanity through the same parameter. Individuals who dress like us pass the test and those whose clothing is unbranded or not trendy are dismissed without further ado. Indeed, one quick way of figuring out how far we have travelled on our path of finding our true self is to see how dependent we are on brands. How do we feel when we wear a branded pair of jeans? How do we feel when we don’t? If a great deal of our confidence comes from ‘magic names’, we may be sure we have to work on ourselves. I am not implying that people who have found their identity stop wearing brands. They might still choose to wear brands but their identities are not a function of the labels they flaunt. They will not be diminished if they are not wearing a brand. They are free – to discover their own inclinations, likes and dislikes, independent of whether they are in fashion or not and they will not judge others on the basis of whether they wear brands or not. Indeed, we become originals rather than wannabes only when we discover our own style, which, as I said before, goes in tandem with the discovery of our own identity. How do we discover our identity? By finding that we can survive – and even thrive on – the tests of life. By discovering our self-worth and self-respect. By connecting with our values, what we stand for and believe in. Gradually, like a figure rising out of the morning mist, we form. Instead of miming others’ opinion about issues, we proffer our own. We daringly go out on a limb for things we believe in. We discover that we have skills and talents that others value and appreciate. We find that we like ourselves – a lot. And gradually, we discern the shades that suit us, the styles that flatter us and those that do not, the fabric that feels right for us, the looks that we identify with. Eventually, our wardrobes begin to fuse around these factors. People around us begin to notice and comment on our dress sense and often bring us little trinkets and clothes which are ‘so you’. Best of all, they begin to imitate us! One of my friends is not conventionally beautiful but so elegant and well groomed is she, that she inevitably makes heads turn. Her look is distinctive – comprising huge bindis, beautiful, chunky costume jewellery designed by her, fabulous silks and cotton saris teamed with deeply cut sleeveless blouses. Off work and with friends, she favours fusion wear – jeans and small kurtas or long dresses. Whatever she wears, it is informed by taste and a sense of aesthetics that is uniquely her. Interestingly, people who have discovered their own sense of style are never trapped within the confines of one particular style. Fortunately so, for there is nothing more irksome than to find someone stuck in ethnic chic. After a while, the endless silver jewellery and heavily embroidered cholis begin to pall. A woman who knows who she is never puts herself into a mould. She is as comfortable in Western wear as in Indian and mixes and matches with great flair. Moreover, her appearance is appropriate to the occasion, while never being enslaved by it. I have a friend who is a trainer. At work she is a paragon of professionalism, dressed in impeccable saris, hair elegantly coiffeured. Off work, she allows her real personality to shine out, wearing informal and attractive ensembles that reflect her free spirit. Knowing who we are gives us the freedom to experiment. We are no longer afraid of looking outlandish or different. A close friend once burned her forehead rather badly. For the next month, while the wound healed, she experimented with all kinds of headgear, some of them absurd, others awesome, but all of them absolutely her. When actor, Jaya Bachchan was a superstar, what I loved most about her, apart from her fabulous acting skills, was the simplicity of her appearance. Among all the overdressed and artificial actresses of her time, she came like a breath of fresh air, clad austerely in saris, free of all unnecessary embellishments. There was such an integrity and authenticity to her appearance that she stood out, miles ahead of the competition. When you discover your individual style, you just can’t be beat…because you stand alone.